Caring for a loved one who has a disability can be a rewarding experience, but it can also present many challenges. These challenges range from day-to-day needs like moving around the house or managing personal care to emotional struggles such as loneliness or stress. If your family member’s physical condition requires the use of a wheelchair, you will also need to understand how that affects his or her care needs. Some people with disabilities must use a wheelchair at all times, while others can walk at home but rely on the wheelchair when going out. 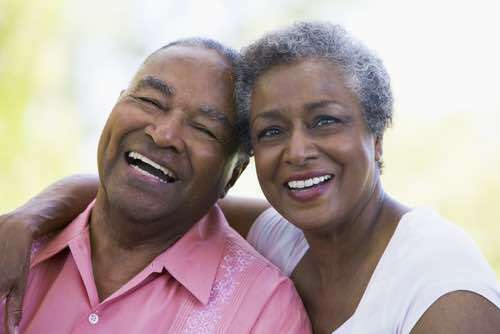 As you consider your loved one’s situation, here are some ways you can help them enjoy the best possible quality of life. Choose a wheelchair of an appropriate size so that your spouse will be comfortable. It can be very uncomfortable to sit in a seat that is too small for long periods of time. If your loved one will be confined to the wheelchair at all times, consider choosing a motorized model to provide as much independence as possible. Accessories such as seat pads, leg rests, a folding tray for food or other items or a pouch to hold personal things may make the wheelchair more comfortable and practical. Take a look at the construction of your home to identify features that may hinder mobility in a wheelchair, such as narrow hallways and doorways, crowded furniture, or steps Where possible, consider adjustments to the layout or design of your home to make it more wheelchair-friendly. You may need to move furniture, install ramps or move your loved one into a downstairs bedroom. Safety should take top priority as you help your family member into and out of the wheelchair. When transferring into the wheelchair, engage the brakes and turn the footrests up, and then position your spouse as close as possible to the seat before he or she attempts to sit down. Stand in front of him or her so you can offer assistance with balance if needed. When transferring out of the wheelchair, make sure you understand how best to support your loved one’s weight so that you don’t injure yourself. Ask them to help you by supporting as much of their own weight as possible as they stand, and then pivot so that they are facing away from the chair or bed where they intend to sit. Encourage your loved one to wear comfortable clothes. Stretchy fabrics and elastic waistbands will help them be as comfortable as possible in the chair. Change positions every two hours. Moving arms and legs or changing your loved one’s position every two hours will help keep the blood circulating and may prevent pressure ulcers from forming. Know how to identify pressure ulcers. Pressure ulcers occur when pressure has been exerted in one place for too long and is common when people spend long hours sitting in a wheelchair. You will first notice a discoloration on the skin, which may look like a red or blue spot. If this happens, adjust your loved one’s position to relieve the pressure point. For example, he or she may need to lie down for a while or move out of the wheelchair onto a couch or armchair. If left untreated, pressure ulcers may require additional intervention from a medical professional. Prioritize fall prevention. Falls can occur when your disabled family member is standing up from or sitting down into the wheelchair, transferring to a bed or chair, or walking through the house. Keep hallways and walkways clutter-free and be ready to offer assistance as needed, particularly when standing, sitting or navigating steps. Caring for a spouse or family member with a disability can present unique challenges and may feel overwhelmingly stressful at times. 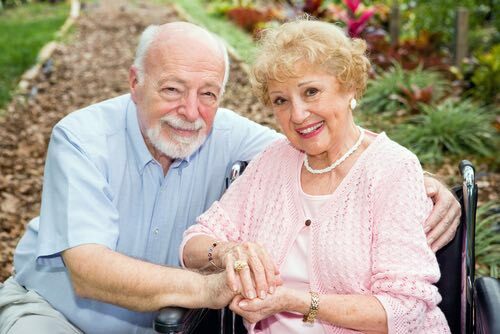 Home care can help relieve some of the burden of caring for a disabled loved one by offering assistance with needs such as mobility, wheelchair transfer, personal care and light housekeeping so that you can focus on maintaining a strong relationship with your loved one.